A friend recommended an authentic Korean restaurant (1638 Robson Street, Vancouver, phone 604-689-3898) called Book Kyung Ban Jeoun Korean & Chinese Restaurant, located on Robson Street downtown between Bidwell Street and Cardero Street. 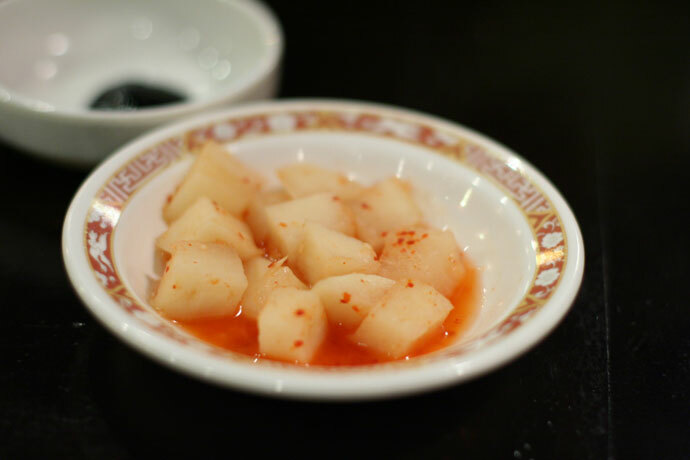 As is customary with most Korean restaurants, a few small accompaniments were provided with our meal such as the Kimchi (pictured below), onion, pickle, and a sweet sauce. 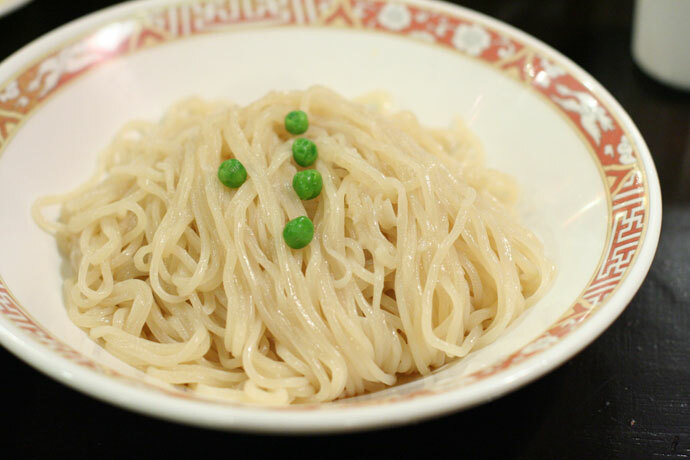 The dish which I ordered was the Black Bean Noodle with Seafood, which comes in two bowls: a bowl of plain noodles, and a bowl with a thick rich sauce made with black beans, onion, and assorted seafood (pictured below, approximately $9.00). 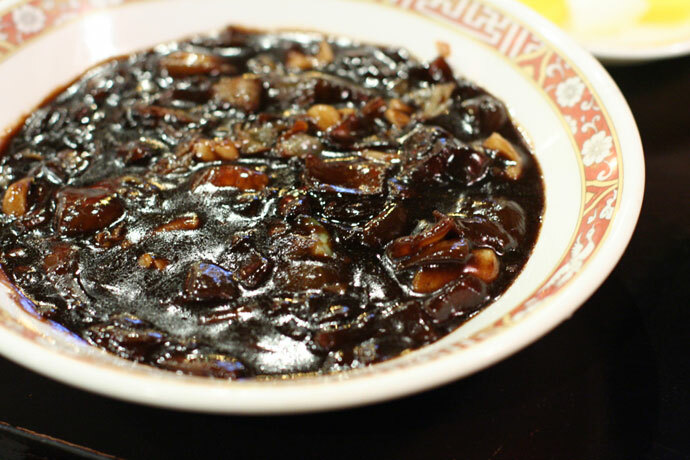 The very dark black bean sauce looks quite different from anything you might encounter at a Western-style restaurant, but I assure you it was very tasty! 18,194 views. This entry was posted on Tuesday, October 16th, 2007 at 8:16 pm	and is filed under Affordable, Asian, Casual, Chinese, Comfort food, Creative Dishes, Downtown, Food Photos, Fusion, Korean, Lunch, Reasonably Priced, Restaurant, Robson, Seafood, Students, Vancouver, Vancouver Restaurants, West End. You can follow any responses to this entry through the RSS 2.0 feed. You can leave a response, or trackback from your own site. What a lovely post. Beautiful writing and beautiful food.